If you are shopping for a new car this year, you have a plethora of choices that offer more than 35 miles per gallon, combined, and not all of them are hybrids, or diesels, or subcompact economy cars. If you thought you had to suffer in order to drive a fuel efficient car, or (ironically) spend a lot of money on a hybrid to save at the pump, think again. We did a little digging and crunched the numbers to find the best choices (in no particular order) if you are looking for a car that will ease your gas pains at the pump. You can find practically every car, truck, SUV and van listed in this official EPA Fuel Economy Guide. 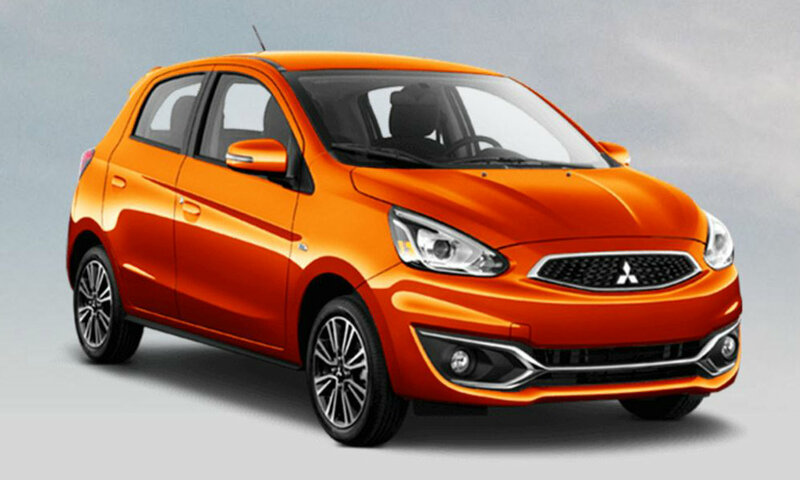 If you are looking for a functional small car, that gets great mileage, and doesn't cost a lot of money, the Mirage is a great choice. As an added bonus, with their lower sales volume, and available red, orange, blue and purple paint, you can buy an affordable car that stands out from the flood of gray SUVs at the mall. There is also a Mirage G4 sedan, but it can only manage 35 city/41 highway/37 combined. The downside is that their dealer network isn't as huge as some brands, but for less than $14,000 with a 10 year/100k warranty, if there is a dealer near you it is a great choice. The Chevy Cruze is one of the best small cars GM has ever produced, so it is a shame it is going away after this year. If you do a lot of highway driving, and want to cruise in a traditional sedan and go more than 600 miles on a tank of diesel fuel, this is the car for you. The diesel has good power for around town too, but if you prefer regular unleaded gasoline you still get 28 city/38 highway/32 combined, and the diesel hatchback is 30 city/35 highway/45 combined. Better hit a dealer soon though, as the Cruze plant has already ended production, but that means a better deal for you! You have to give Jaguar credit for taking a chance with their efficient diesel powered luxury sedans in America, but if you want fuel economy, torque and European luxury their sporty XE sedan deserves a look. With more than 300 ft-lbs of torque there is no penalty to be paid for great fuel economy (except for some diesel clatter) and you'll get from 0-60 mph in about 7.5 seconds, but feel even faster in stoplight to stoplight driving. If you don't want diesel power, there are better small luxury cars that out do Jaguar's 28 mpg combine from the gas model. If you are looking for the best fuel economy in a standard gasoline burning sedan, the Honda Civic is your top choice, though you have to move up to the EX trim with the 1.5-liter turbo motor. Those numbers are even more impressive if you have compared the new Civic with previous generations, which it is bigger and more luxurious than. Even the smaller Honda Fit can only just match the numbers its big brother it putting up, with 33 city/40 highway/36 combined miles per gallon, and then only in the lighter base model. When you consider that the Ioniq starts at a little over $23,000, is bigger inside than a Toyota Prius, and beats it in the fuel economy rankings, you have to wonder why anyone would pay more for the Toyota? Of course, if you choose the nicer trim levels from Hyundai you do lose a few of those MPG in the name of luxury and convenience, but even the Blue is nicely outfitted with standard features. 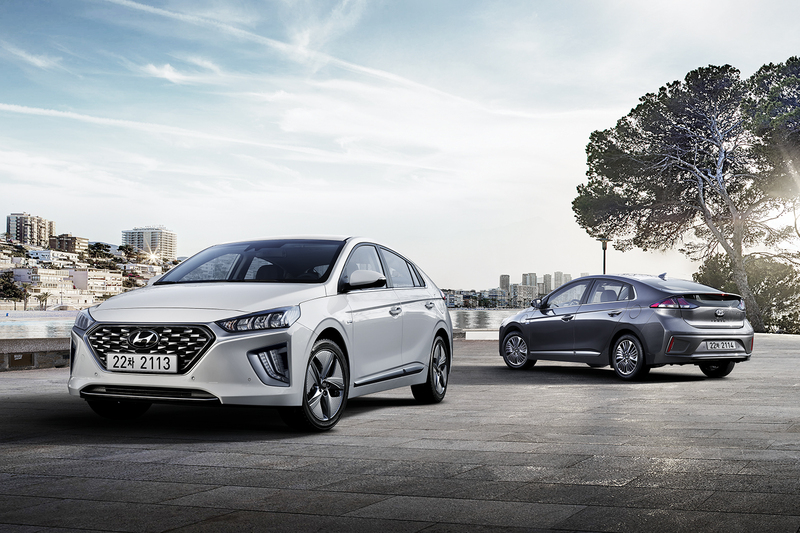 You may think Hyundai is still young, but they've been selling cars here for more than 30 years, and offer a lifetime hybrid battery warranty, a 10 year/100k powertrain warranty, and 5 years/60k mile warranty on the entire car. If you are looking for a crossover SUV, as most people these days are, Toyota still offers the best deal in town when you combined fuel economy, features, and price. The new for 2019 RAV4 hybrid is going to get about 40 mph no matter where and how you drive it, is better than ever in the looks and features department, and starts at less than $29,000. Another mark in favor of the RAV4, if you live in the snow belt, is that AWD is standard, in fact electric motors on the rear wheels are part the hybrid system's design. There is a huge drop from the fuel economy of even a small SUV to a real truck like the Chevy Colorado because they are heavier, less aerodynamic, and built to haul 1,000 lbs of cargo. Even choosing the more fuel efficient diesel motor doesn't get you a lot more fuel economy in this nearly full sized truck, but it does get you a ton of torque 369 lb-ft) and the ability to tow 7,700 lbs. The diesel motor is only available in select body styles with select trim levels, so don't think you can get one for less than $30,000 though. Ford kept things simple for the relaunch of the Ranger with just one drivetrain option, and turbo four-cylinder and automatic transmission, but they made sure to beat the best numbers GM could put up for the gas powered version of the Colorado. The last of options means that even the least expensive Ranger at $24,300 gets these numbers, and it isn't some expensive complicated hybrid or extra cost diesel. The base motor in the Colorado or GMC Canyon is only rated lower by 1 mpg, but Ford's EcoBoost puts out nearly the power of the GM V6 while doing it. Coast in Gear or Neutral for Better MPG?